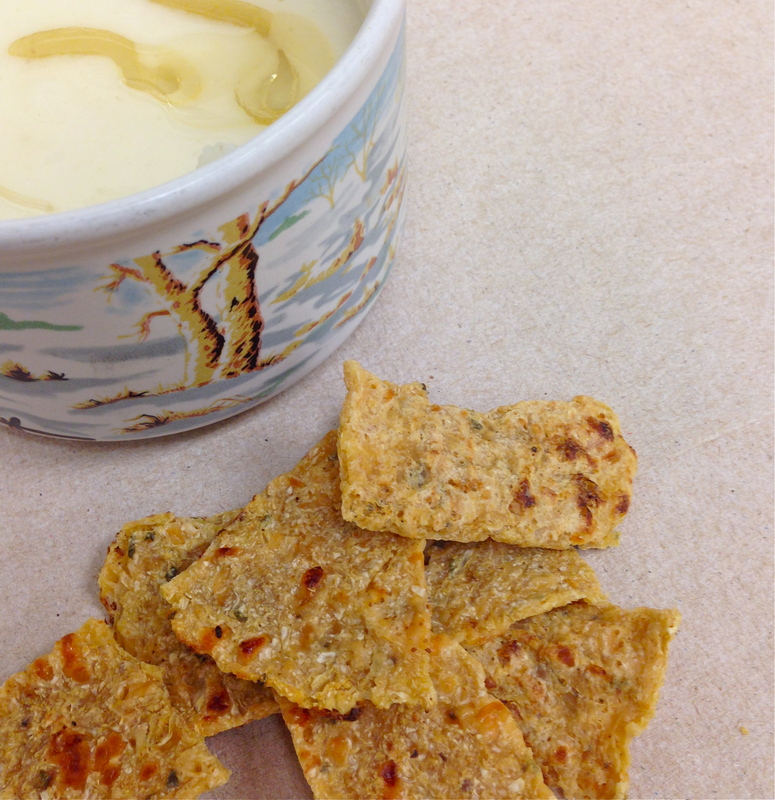 So, this whole no wheat, no grain thing cuts out some major food categories, crackers being one of them. It’s not as if I sat on the couch eating a box of crackers, but there are just some instances in which a cracker would be handy. Say, like for hummus. Or chicken liver mousse. Or for beet dip. Or with soup. Or just because! I’m certainly down with using sliced veggies as a vehicle, but sometimes they’re just not right. 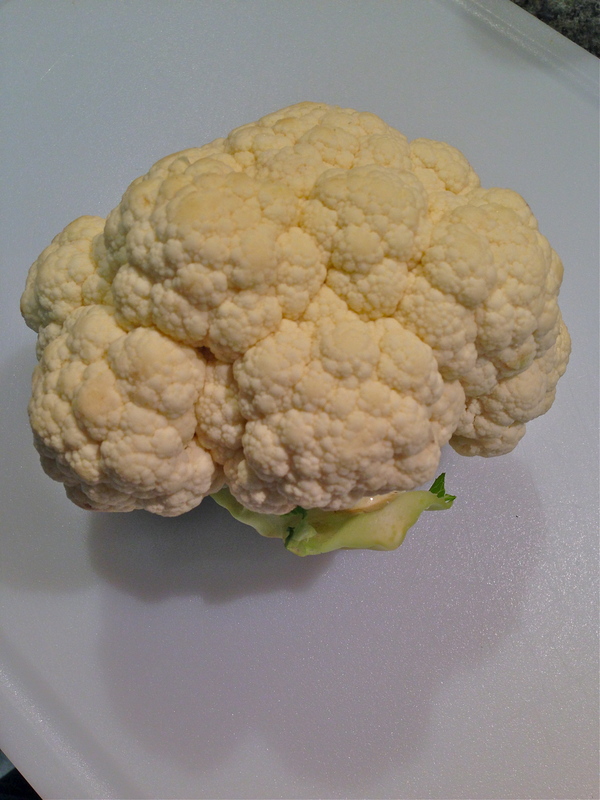 In my searching to find something that acted like a cracker but also was full of healthy nutrients, I stumbled upon our friend the cauliflower cracker. I figured, yeah right, cracker. Sure. But boy, was I wrong. 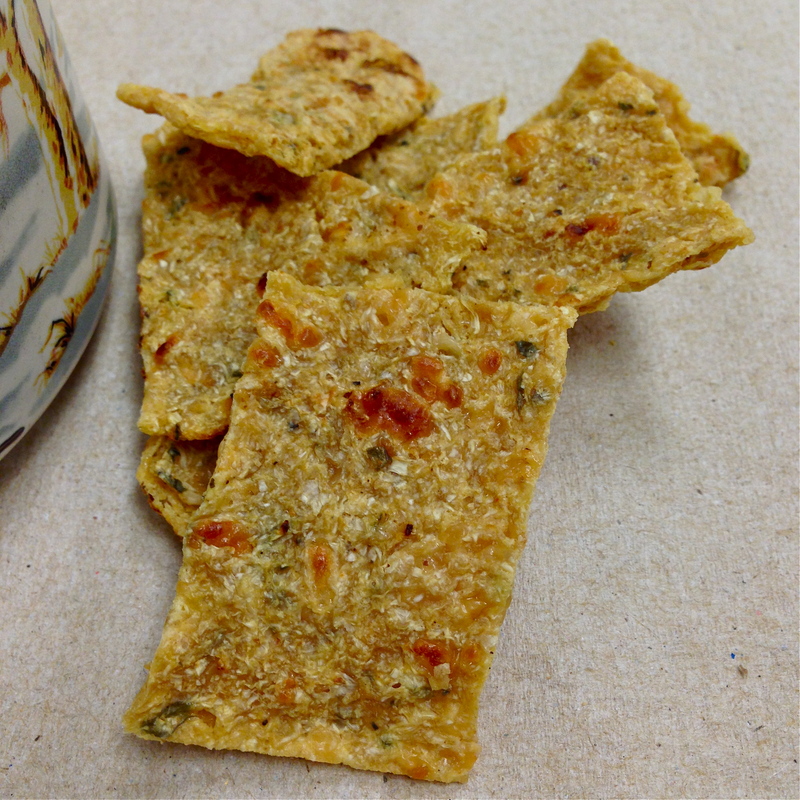 These are crunchy, stay crunchy, and have a savory-cheesy goodness to them. Perfect! 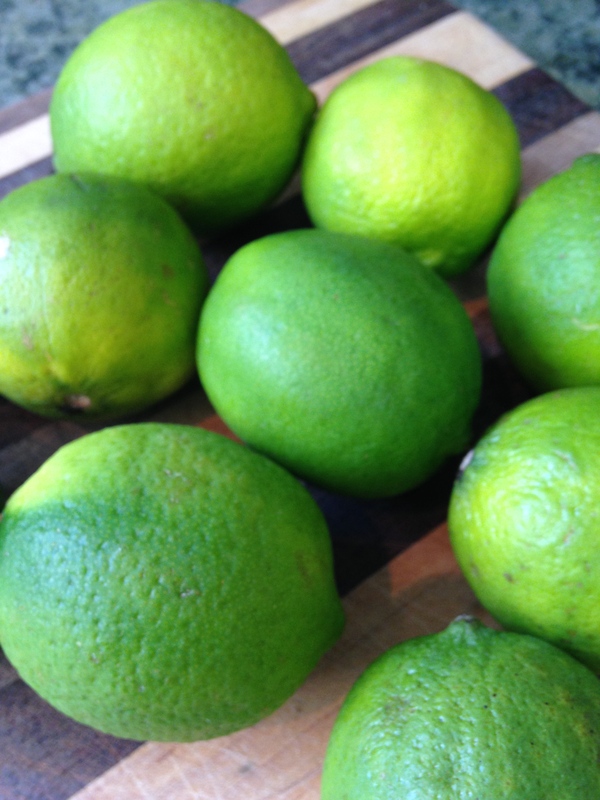 Oh…and they’re quite addictive so you might want to make more than you think you’ll need. Preheat oven to 425 degrees with racks in middle of oven. 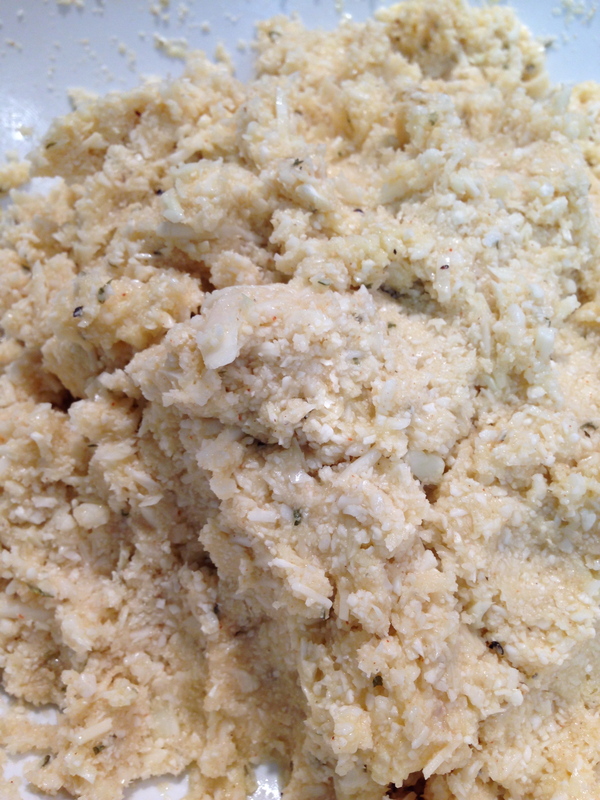 Place cauliflower florets in food processor and pulse until ‘riced’ or it looks like cauliflower snow. Place cauliflower rice/snow in a bowl, cover with a plate, and microwave on high for 5-7 minutes until thoroughly steamed. 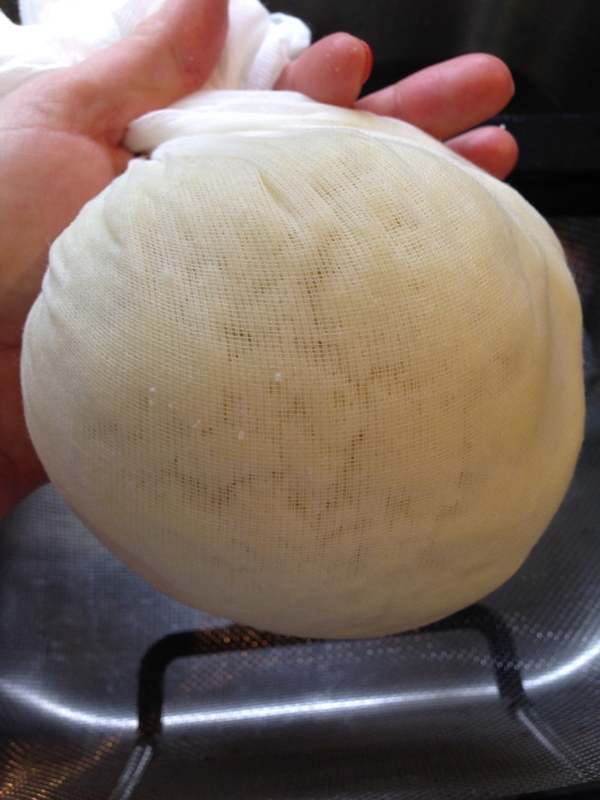 Remove plate, spread in double-cheesecloth or flour sack-lined colander (spreading it out helps it to cool faster). 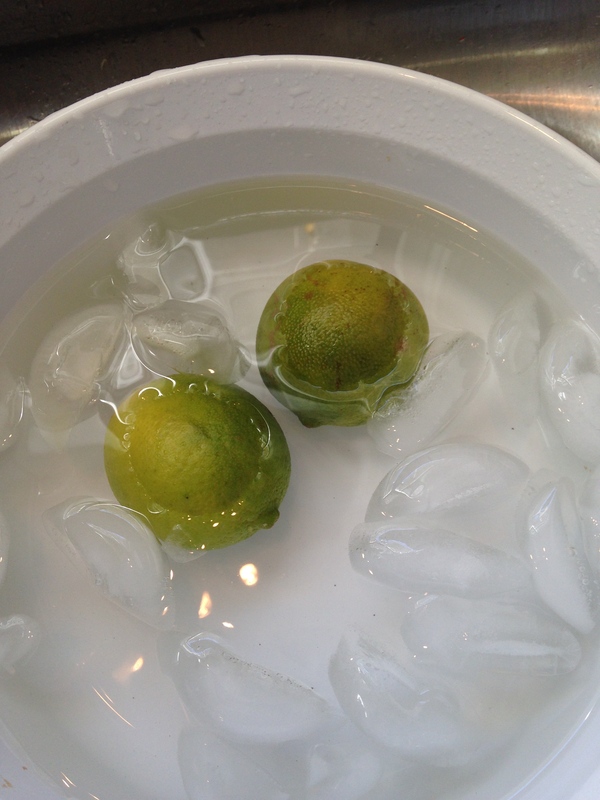 Let it cool thoroughly, 10-15 minutes. Do other things during this time–like think about all the fantastic things you’re going to put on your crackers!! 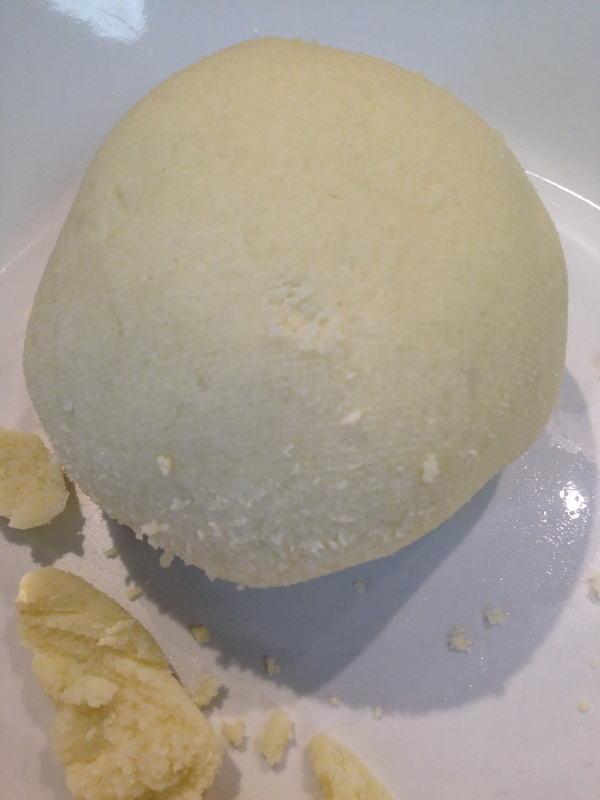 Once thoroughly cooled, gather up the cloth ends, twist to form a cauliflower ball, and squeeze as much liquid out as you can. 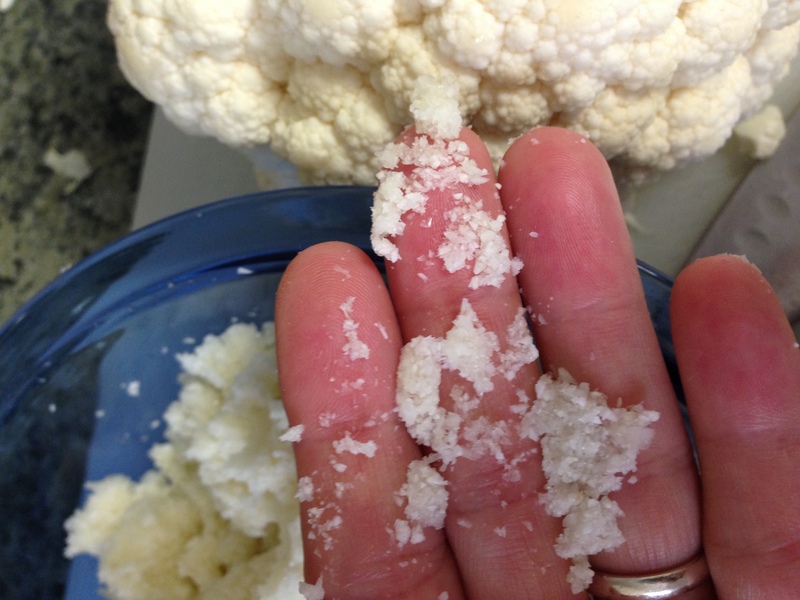 Repeat until the cauliflower does not release any more liquid (5-6 good squeezes). 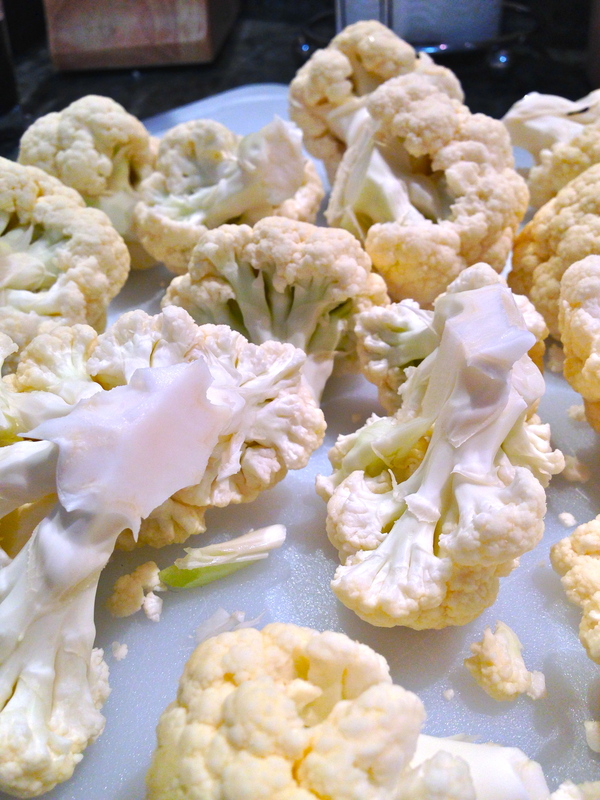 Unravel your cloth over a bowl to make sure all of the cauliflower snow makes it into the bowl. 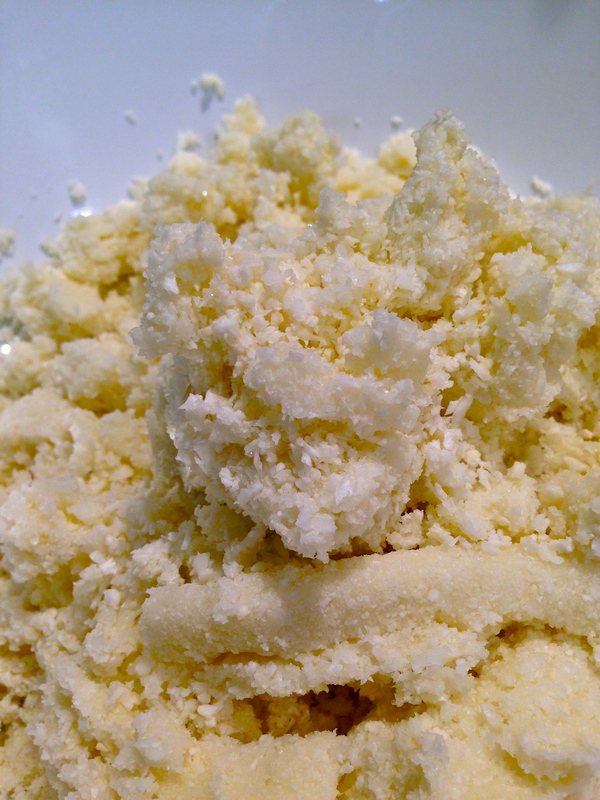 Add your spices to the dry cauliflower rice/snow/pulp. I chose to use garlic powder, onion powder, and paprika but the sky is really the limit. Rosemary, parsley, fennel, or red pepper would work. Trying out some spice mixes would be great too–like Moroccan, Southwestern, or Greek. Mmmmmm–Greek spices and Tzatziki sauce for the dip—yes, please! 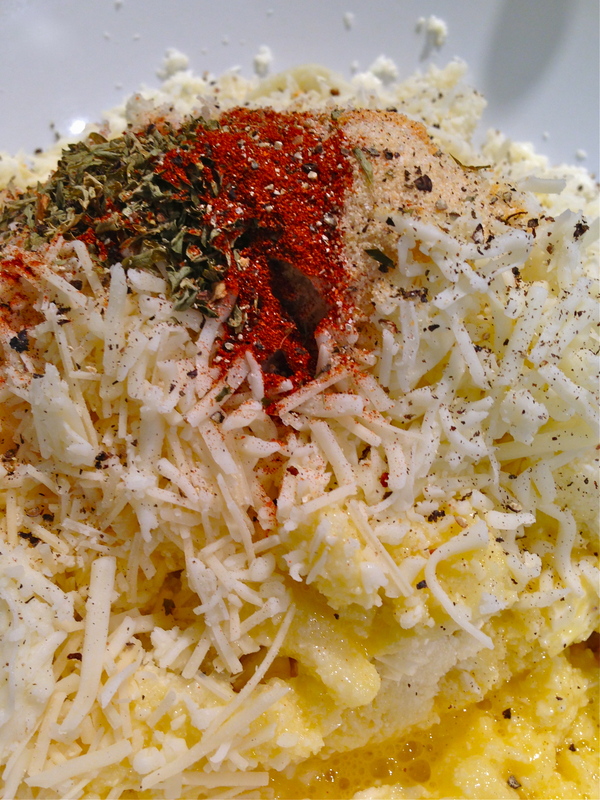 Add the 3 beaten eggs and the 2 cups of your choice of cheese (firmer cheeses like cheddar, shredded mozzarella, Parmesan, etc. work best). Add pepper to taste. Salt is not necessary due to the salt in the cheese. Mix well–I won’t lie, hands work best for this! 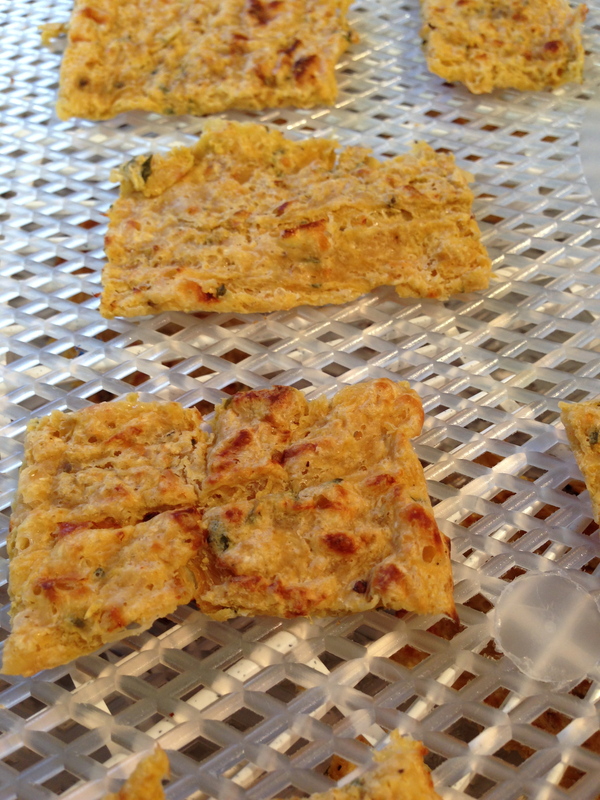 Now spread the ‘dough’ very thinly on your parchment-lined cookie sheets. The thinner the better–mine was probably between 1/8 and 1/4 inch thick. 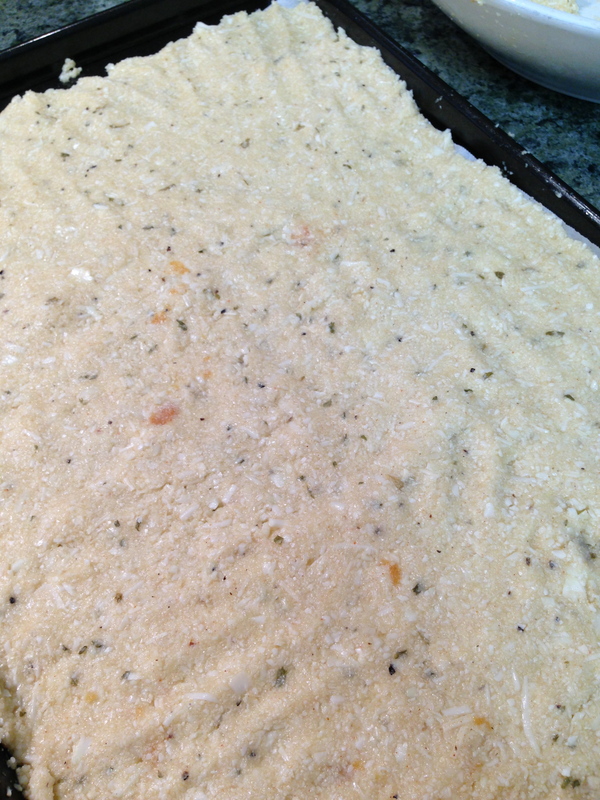 Bake until beginning to brown on edges, about 10-12 minutes. 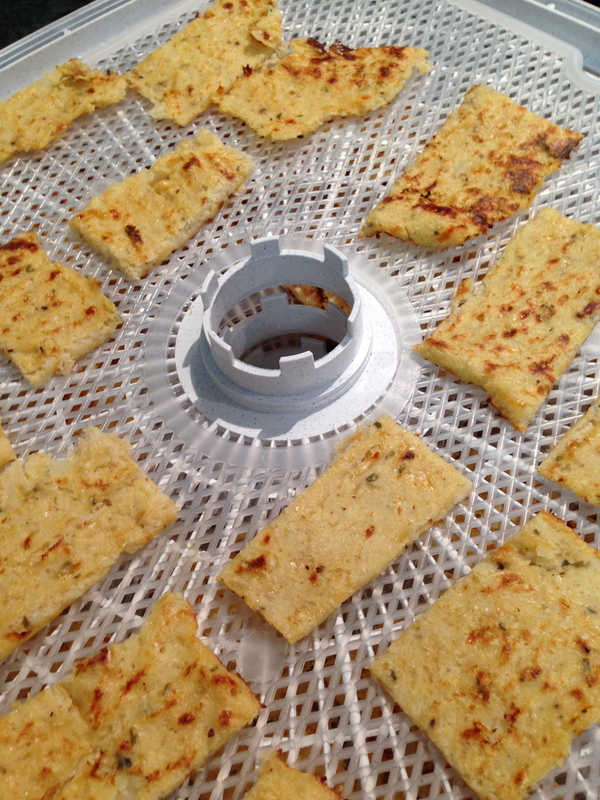 Cut your sheet of cauliflower crackers-to-be into cracker-sized strips using a pizza cutter (you can also make round flats of dough and then cut into triangles for pita-type chips). Flip the strips and cook another 5-10 minutes until the underside begins to brown. Remove from oven. 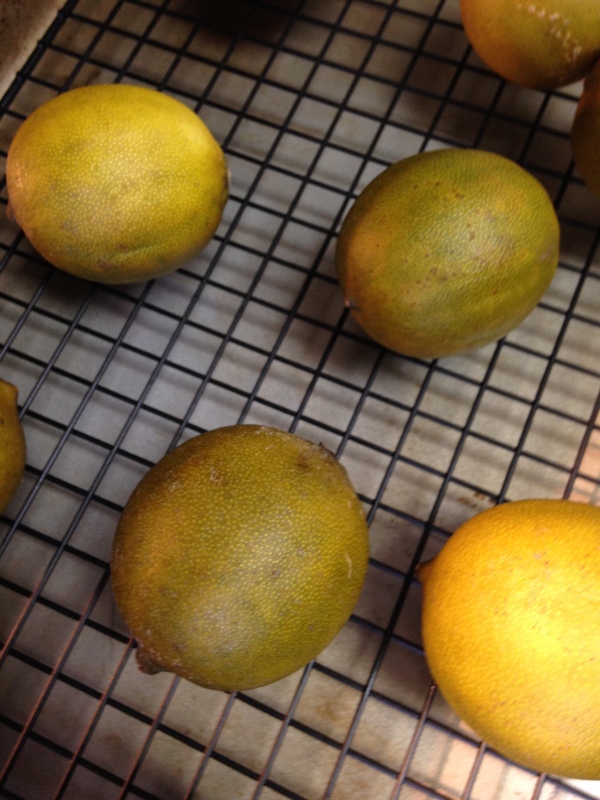 After cooling enough to handle, transfer to a dehydrator set to 135 degrees (fruit/vegetable setting) and dehydrate for about 8 hours or until crisp. 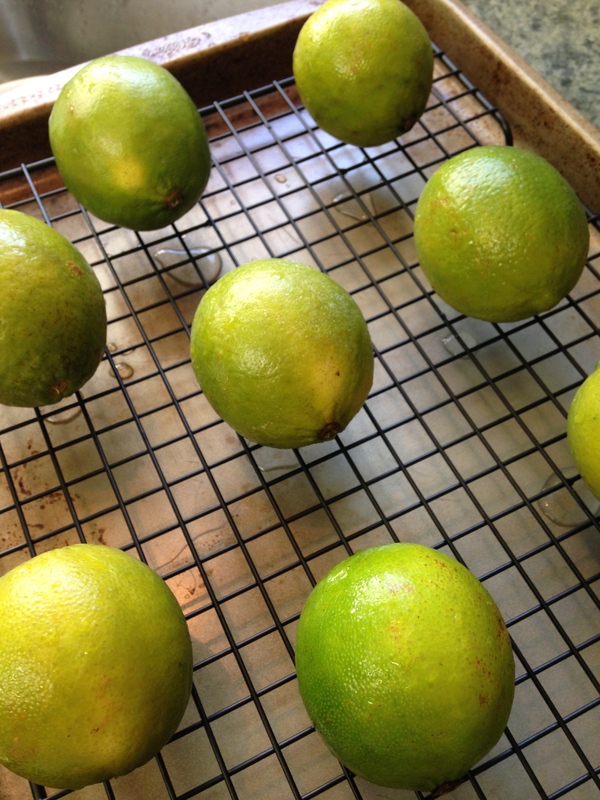 Other recipes indicated you may let the chips sit in a cool oven overnight instead of using a dehydrator, but I have not tried that method (I will next time and post an update). After fully dry and cool, store in a ziploc bag with the top open (to avoid moisture build-up). 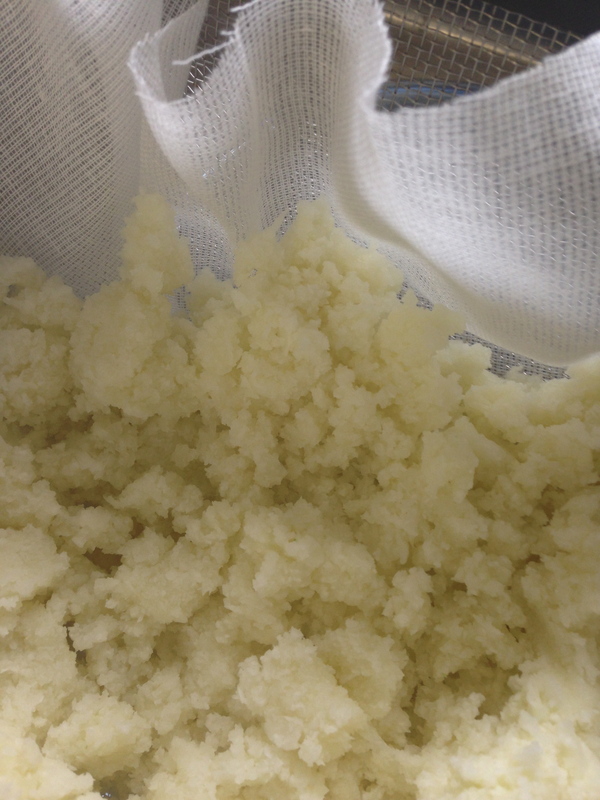 Better yet, try using silica gel desiccant packs to keep the moisture off. They work wonders for dehydrated foods stored in containers. Enjoy with spreads, dips, soups, or plain! They’re super satisfying with a big ol’ cup of Creamy Turnip Soup (recipe here) laced with a bit of walnut oil. Seriously. I had 2 bowls just so I could keep dipping the crackers into it!